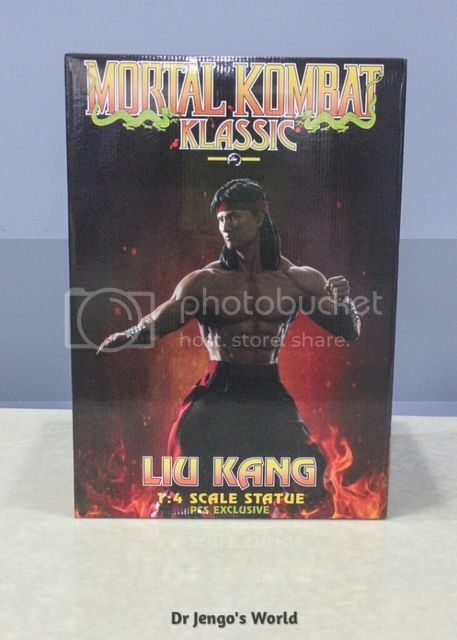 1 more Klassic statue for the collection! 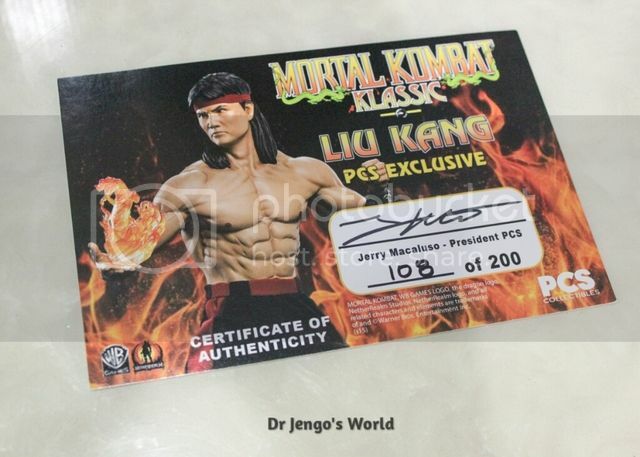 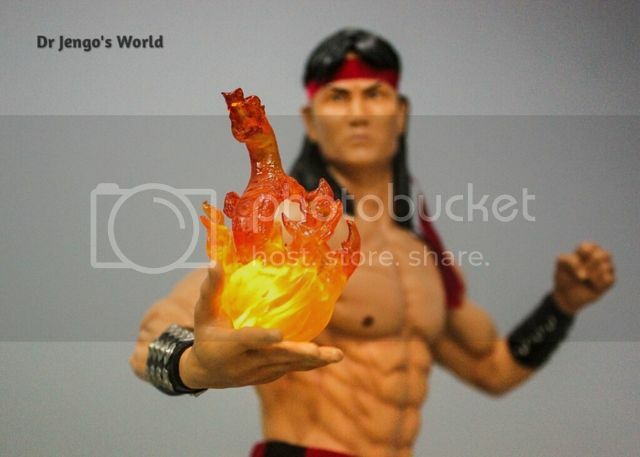 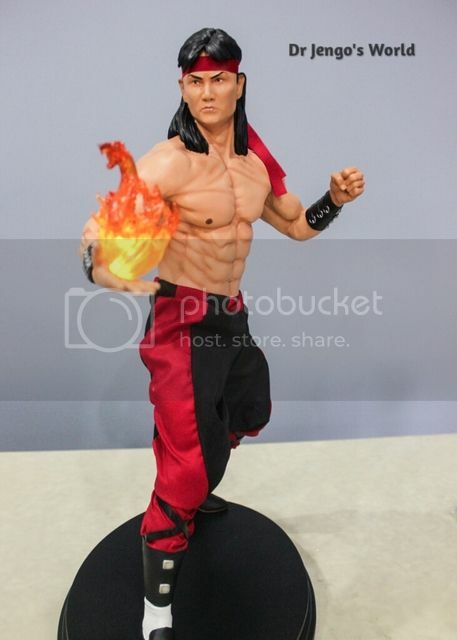 At long last.. we have a Earthrealmer, Liu Kang! 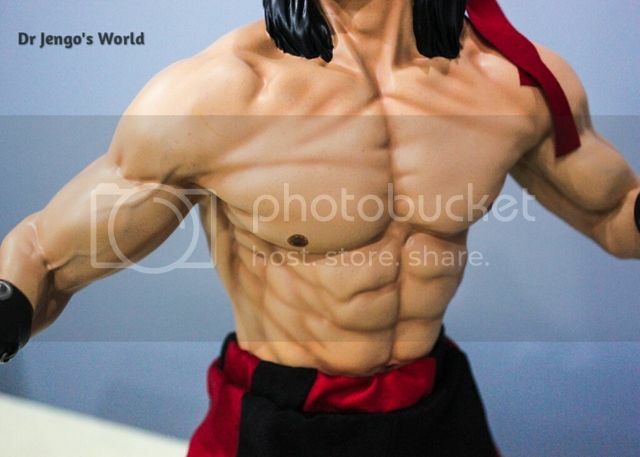 A lot of details on the muscle definition.. 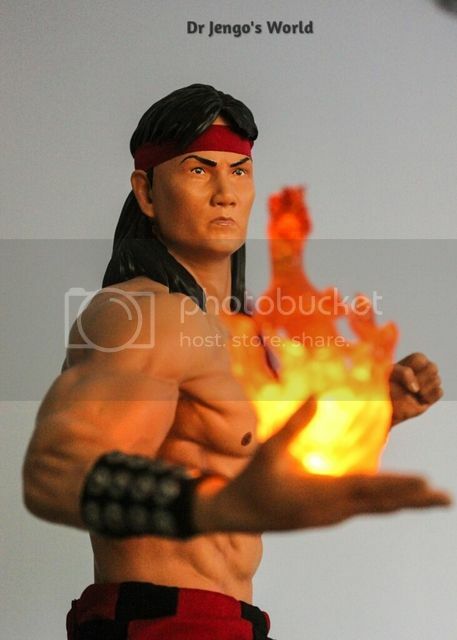 However, I do think the fingers look a bit odd. 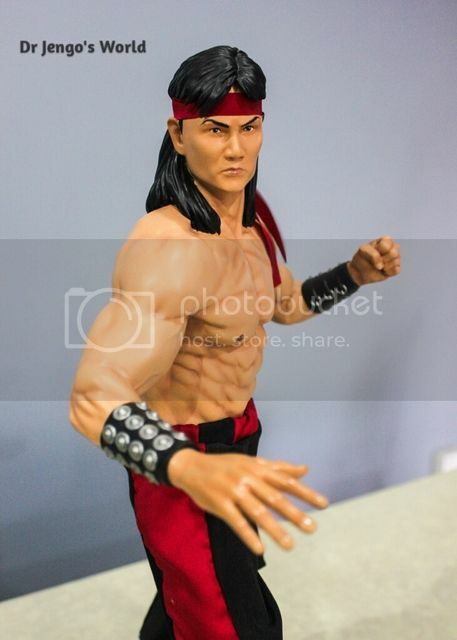 Very plastic-looking and just lacking the details which are on the other parts of the body. 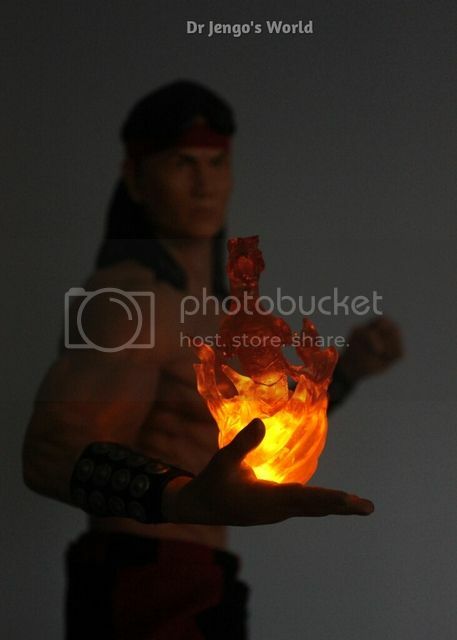 So, really thankful that the EX version came with a switch-out hand..
A LED fire dragon on the switch-out hand. 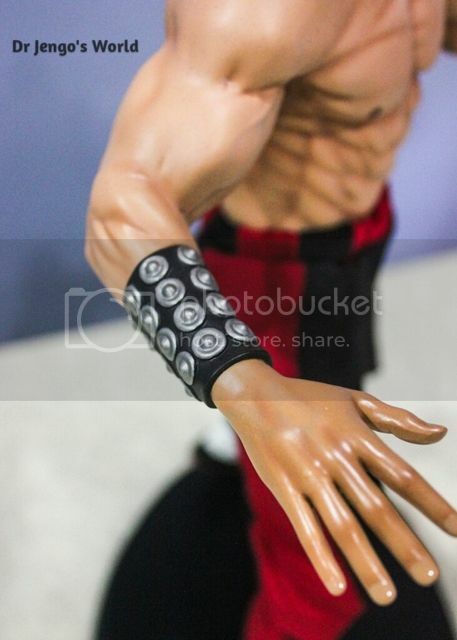 LED is powered by Batteries, that can be placed in this compartment underneath his pants.. 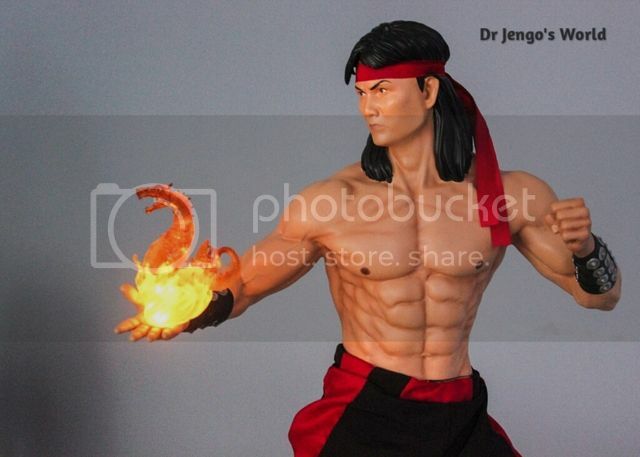 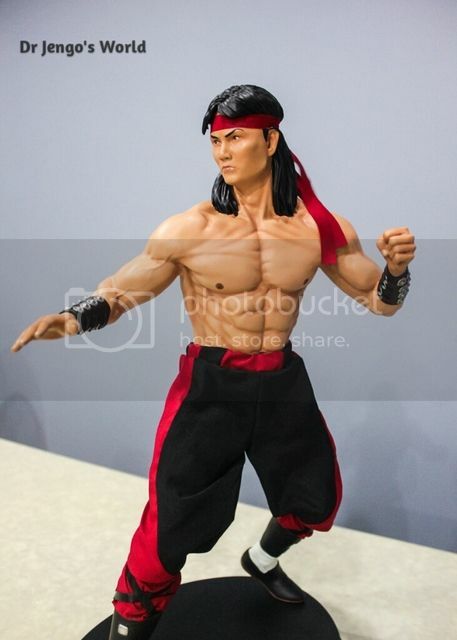 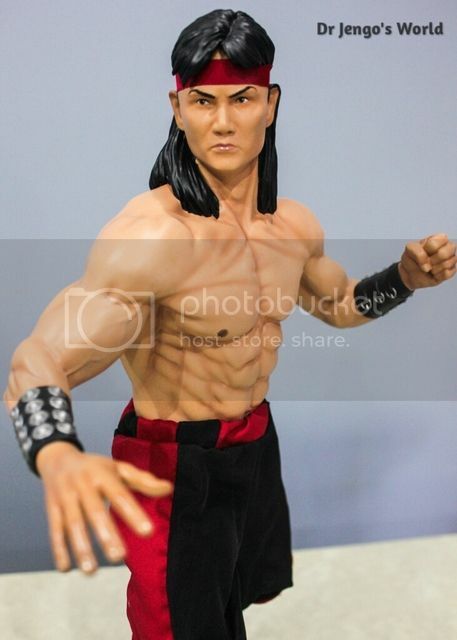 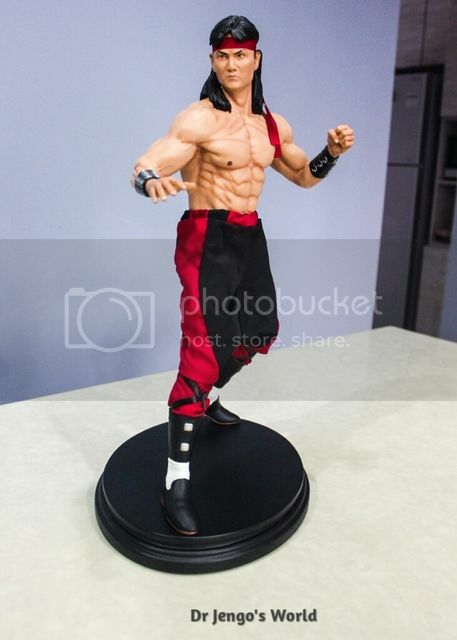 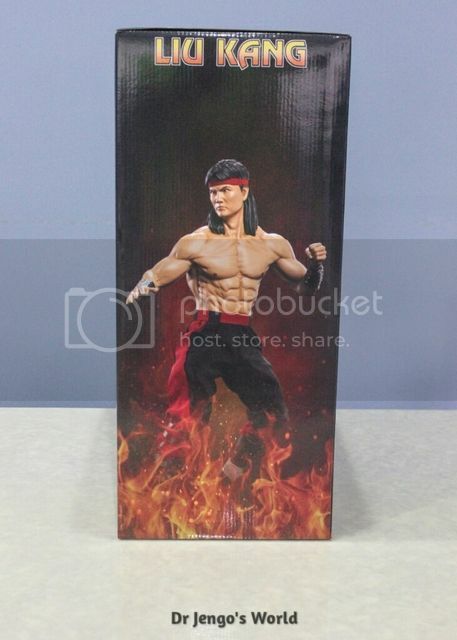 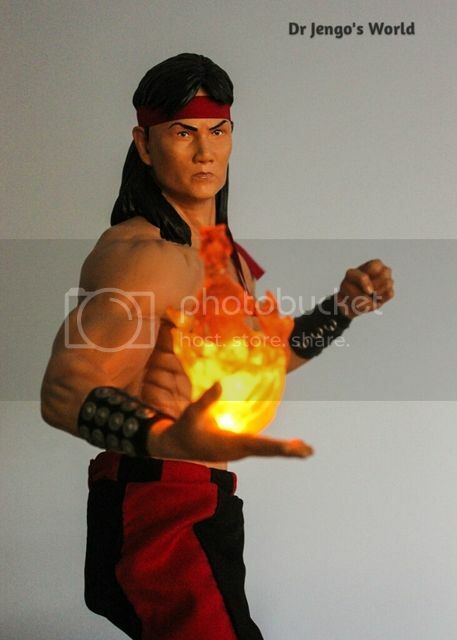 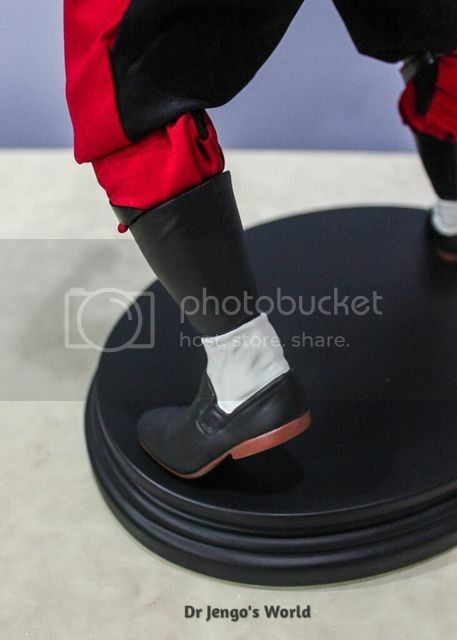 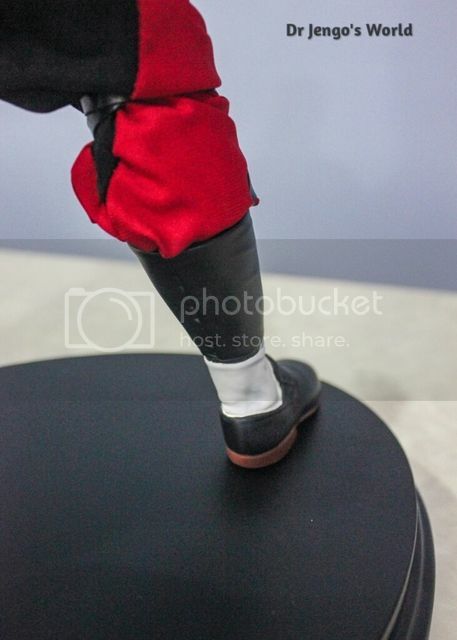 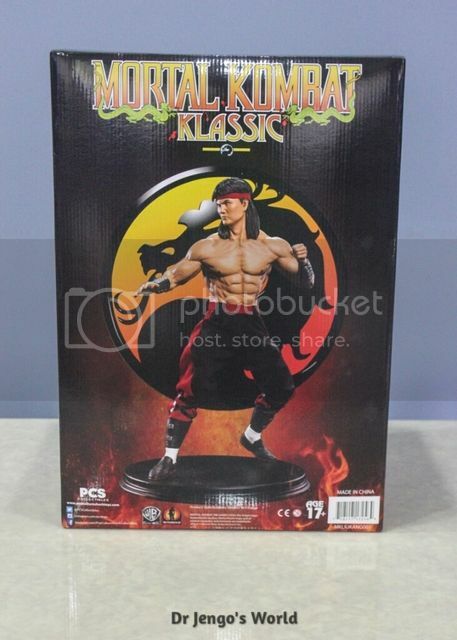 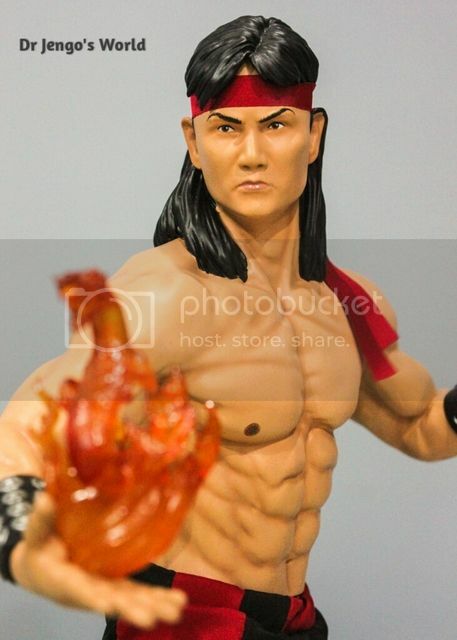 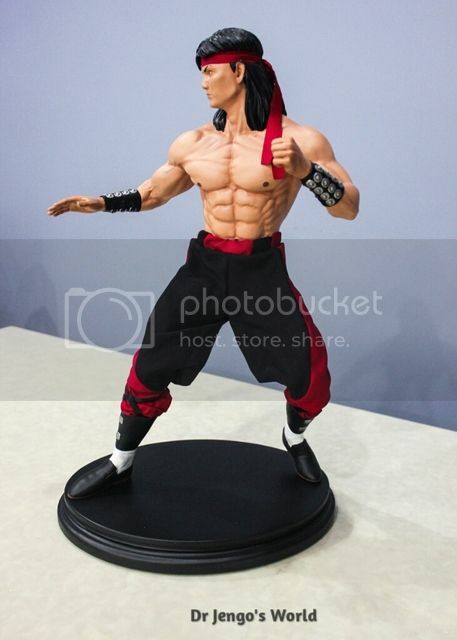 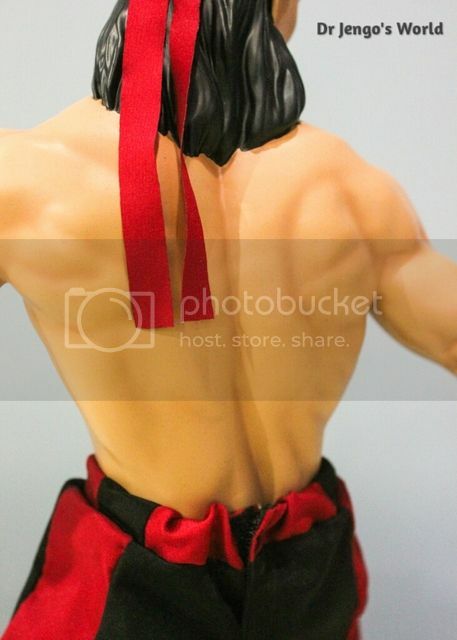 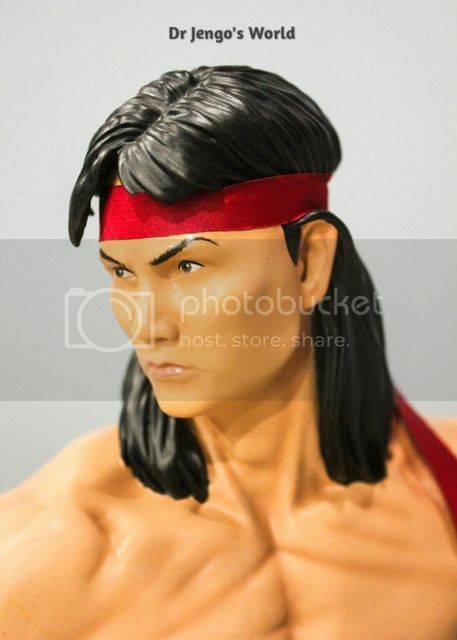 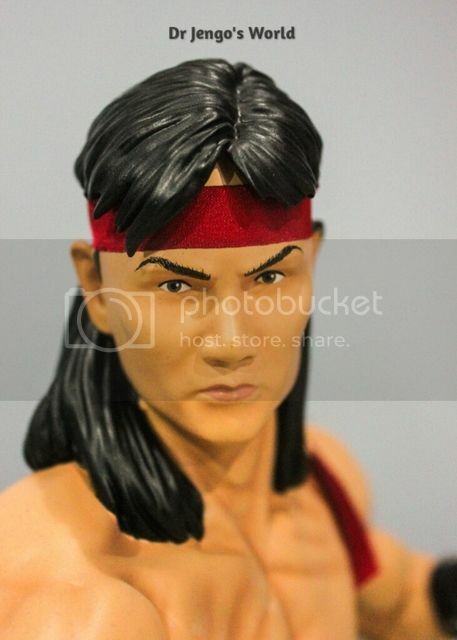 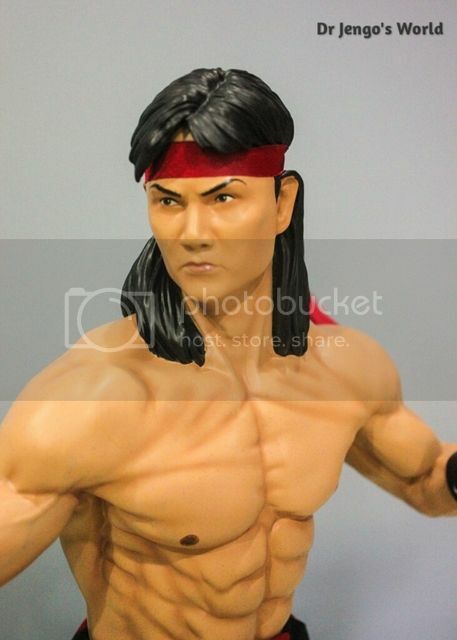 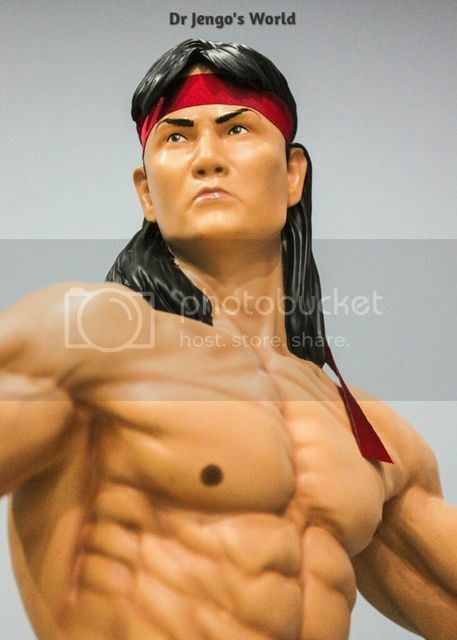 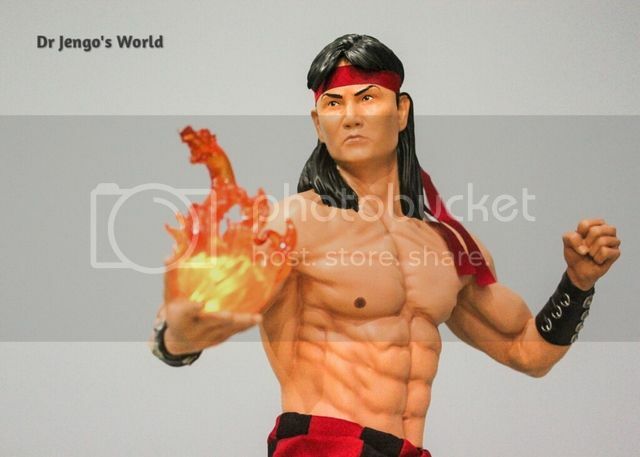 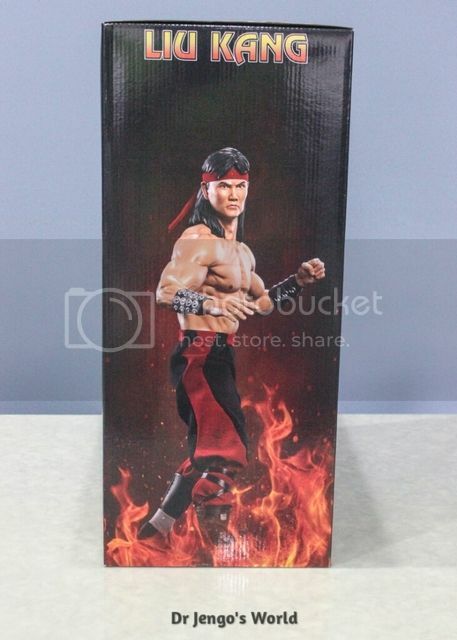 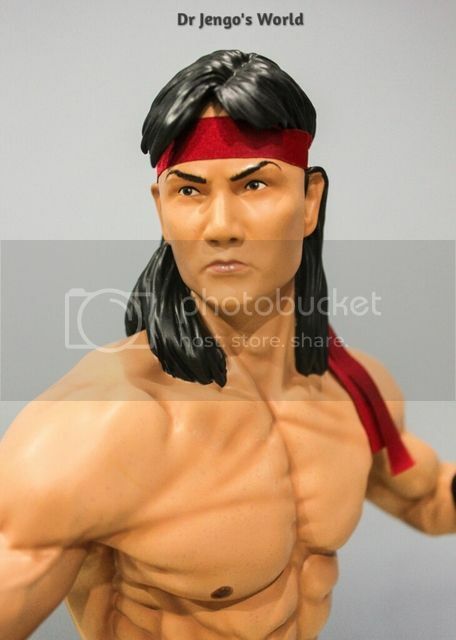 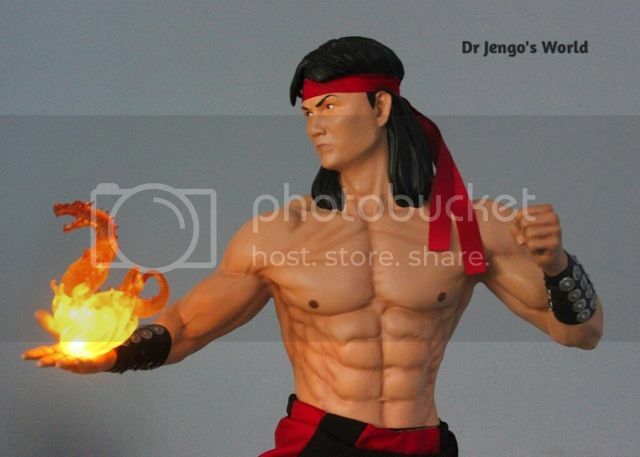 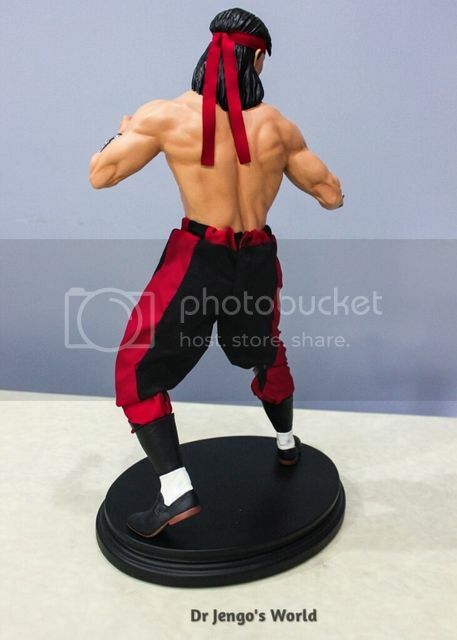 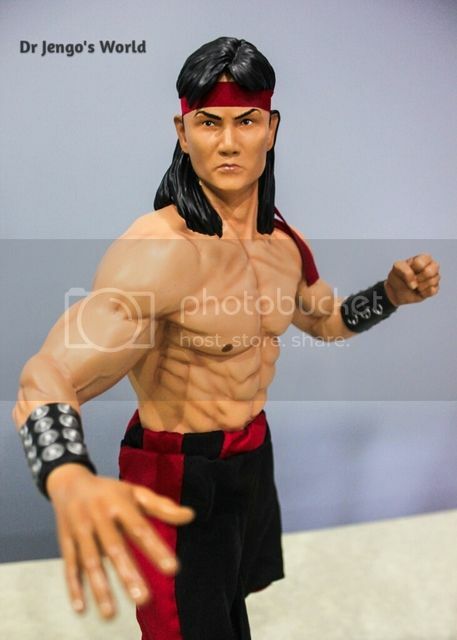 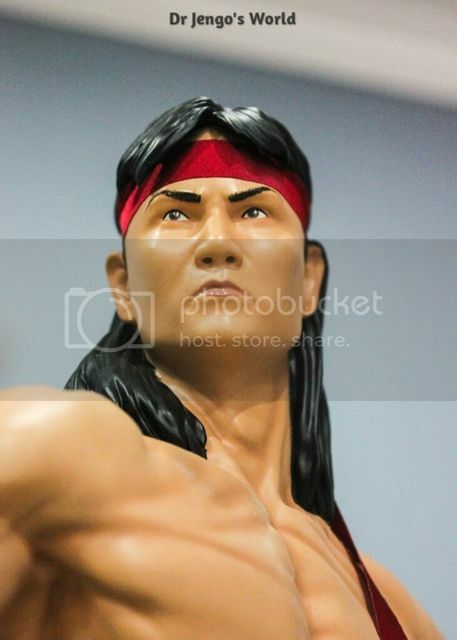 In comparison with the other Klassic statues, Liu Kang isn't the most visually interesting character but someone who's very important in the lore. 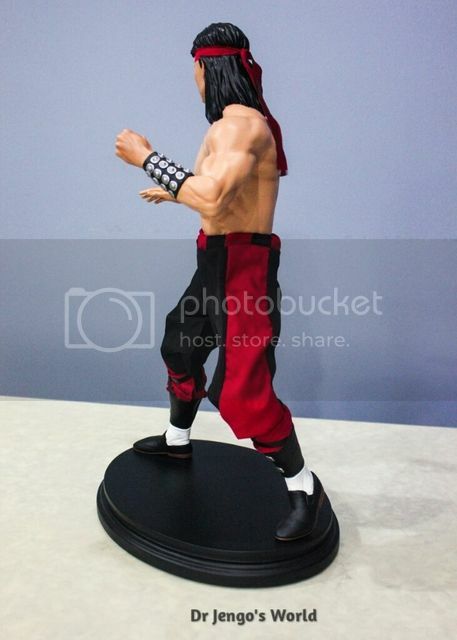 Besides, I can also also claim to have a Bruce Lee statue now! 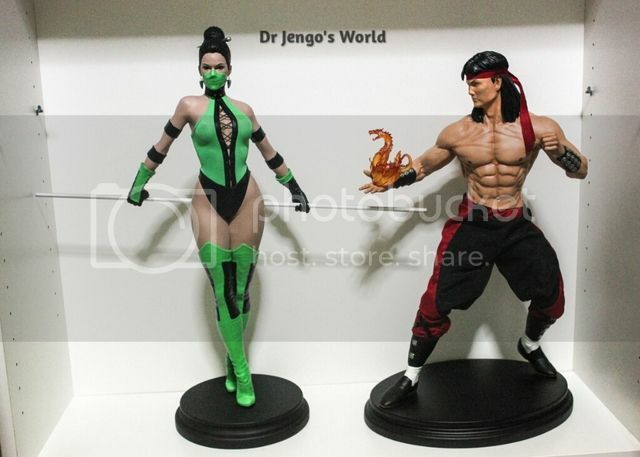 Take his place beside Jade..